Libby was diagnosed with scoliosis at the age of seven following a car accident. Because her spinal curve measured a small degree, the pediatric surgeon suggested watchful waiting. Libby’s parents, Lisa and Leonard, kept a close eye on any changes to her curve. She has always enjoyed staying active, whether it be playing softball, track, gymnastics or cheerleading. For the most part, her spinal curve did not interfere with her active lifestyle. At the age of nine, while at softball camp, Libby was playing catcher and noticed back pain while in the catcher stance. A family friend referred Libby’s family to an orthopedic surgeon in Waco. Libby went for an examination and diagnostic imaging, her spinal curve measured 28º. 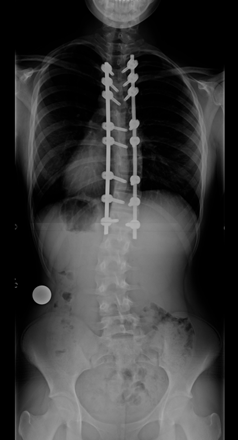 The surgeon was not a specialist in scoliosis and requested a consult with a surgeon in Tennessee who suggested that Libby be seen by a scoliosis specialist. 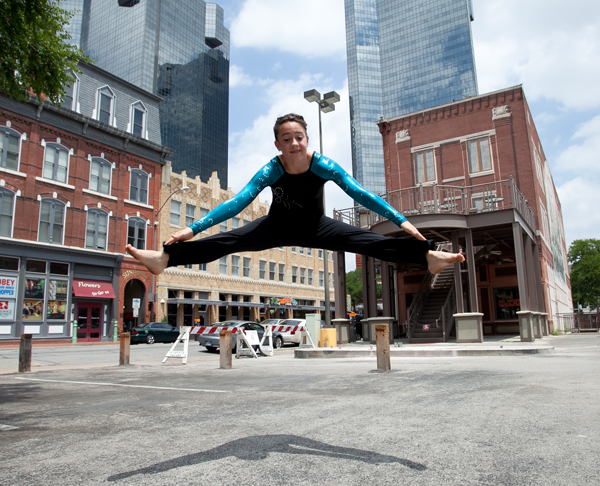 Libby and her family were next referred to a scoliosis specialist in Dallas. There was a wait time to see the scoliosis specialist, X-Rays taken at her appointment revealed that Libby's curve had progressed and measured 41º. The doctor suggested bracing and Libby started wearing a Boston Brace. After six months of wearing the brace, Libby returned for follow-up X-Rays out of the brace, the results showed her curve had worsened to 45º. Unfortunately, bracing didn’t stop her curve progression. Once Libby's parents realized that the Boston Brace was not effective in controlling the progression they allowed her to stop wearing the brace. About three weeks after Libby stopped wearing the brace, her gymnastics coach, Robert, commented on how much stronger Libby was becoming. Another three weeks passed, and Libby continued to gain strength. Robert asked Libby's parents what they were doing differently — because Libby was getting so much stronger. "This is when we realized how much strength Libby was losing by wearing the Boston Brace," Lisa reflects. Meanwhile, though she was limited some in activity, Libby continued to participate in cheerleading, gymnastics and track as much as she could. “She no longer lifted others in the pyramid during cheer, and while at a track meet, she had to stop and catch her breath before finishing the 800 meter race," Lisa says. Libby had moved on from the rigid brace to a brace which was more flexible and allowed more movement. The brace was also less noticeable and could be concealed by clothing but still uncomfortable. And unfortunately, the brace was ineffective because Libby's spinal curve continued to worsen. Her scoliosis was causing her to lose some height also. “It was important for us to try all of the non-surgical scoliosis treatment options in order to avoid traditional scoliosis surgery, which is very invasive." In September 2011, Lisa received a birthday card from her mom that she won’t forget. Inside the birthday card was an ad clipped from a magazine detailing the story of a young woman, involved in dancing, who had been successfully treated with Minimally Invasive Scoliosis surgery. 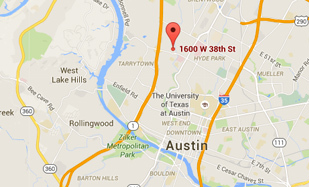 The surgeon was Dr. Matthew Geck at Scoliosis Texas in Austin. Lisa was immediately drawn to the story and relieved to learn there were less invasive surgery options for scoliosis. She talked with her husband and they decided to make an appointment for Libby with Dr. Geck, a dual pediatric and adult fellowship-trained scoliosis and spine surgeon. Libby went for her appointment with Dr. Geck and quickly felt comfortable with him. New X-Rays of Libby’s spine revealed her curve had progressed to 62º. Scoliosis surgery would be necessary to correct her spinal curve and would need to take place in the next 4-6 weeks or risk further complications. Dr. Geck talked with Libby, now age 13, and her parents in detail about the surgery options, including minimally invasive spine surgery. 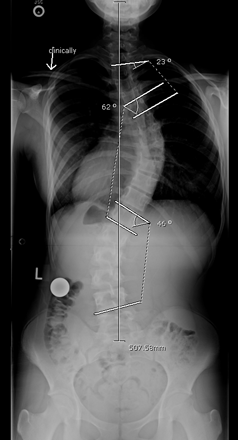 Dr. Geck cautioned Libby and her parents that because the curve was at 62º, he would not know until he started the surgery if he would be able to use the minimally invasive surgery techniques to correct her scoliosis. 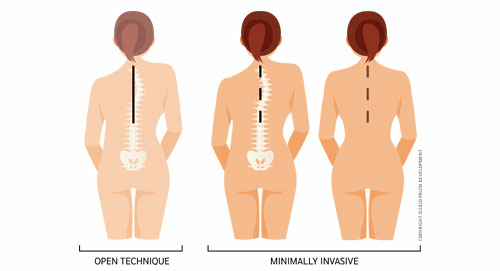 Traditional open scoliosis surgery requires one long incision and can often be very complicated. Using a minimally invasive approach involves three small incisions and muscle-sparing surgical techniques. Other advantages of the mini-scoliosis approach may include shorter hospital stays, less pain and a faster return to normal activity. Libby and her family wanted Dr. Geck to perform the scoliosis surgery using the mini-scoliosis technique if possible. Libby's surgery was scheduled for November of 2011. On the morning of Libby's surgery, Lisa and Leonard were relieved to get hourly surgery updates from Dr. Geck's surgical team. One hour into the surgery, they received the good news that Dr. Geck was able to perform the surgery using the minimally invasive technique. Libby's surgery was successful. She was able to walk the next day — though her recovery was not easy. “I was out of school for a while after surgery, it was kind of lonely because I missed my friends and normal activity," Libby remembers. She gradually built up the distance she could walk, about a month after her surgery Libby was walking up to a mile a day. Four months following her surgery, Libby was able to start jogging at an easy pace again. Next, she returned to running sprints. She also returned to cheerleading and gymnastics, including back hand springs and tumbling. On April 28th she competed in the Regional Tumbling and Trampoline meet in Ft. Worth and qualified for National competition. "Libby is not limited in activity at all now, she’s cheering, she’s tumbling and continues to work on building up her muscle strength after taking off time for surgery," Lisa reflects. "Finding Dr. Geck was an answer to prayer. Looking back, we regret we didn't find him earlier. We know now there are other treatment options that could have been used that may have helped Libby avoid a major surgery. My advise to other parents in a similar situation is to seek out a scoliosis specialist like Dr. Geck — A specialist that is on the forefront of innovative scoliosis treatment and technology. My prayer for others is that they would find Dr. Geck in the early stages of spinal curve progression, before surgery is necessary," Lisa adds. 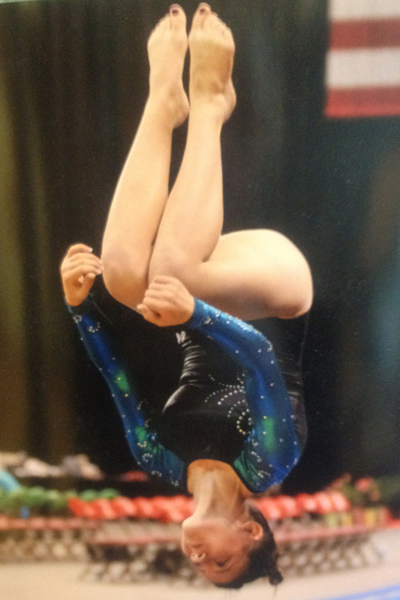 Update 2012: Libby competed in the tumbling event at the 2012 USA Gymnastics Tumbling & Trampoline Junior Olympics National Championships in Long Beach, California. The competition took place from July 4 - July 11. Libby earned the Silver Medal during the competition! Congratulations Libby! Update 2016: On January 9, 2016, Libby and her team competed at the UIL Spirit State Championships. Libby's team was awarded 3rd place at the UIL Spirit State Championships, in the 3A division! Congratulations Libby! Below is footage of Libby tumbling, filming took place in January 2016, 4 years after Dr. Geck performed minimally invasive scoliosis surgery.